Staying abreast of the evolving regulatory landscape affecting the food trade can be a challenge. Yet it is vital for both public and private sector stakeholders to find out in a timely manner when changes are on their way. This is where ePing can help. ePing is of potential interest to Codex Members and Observers -government agencies, standardizing bodies, producers, exporters, importers, service providers, international organizations, research institutes and NGOs. World Trade Organization (WTO) member governments are required to notify other members before adopting new Sanitary and Phytosanitary Measures (SPS) and Technical Barriers to Trade (TBT) measures that may have an impact on trade and provide an opportunity for comments. However, given the high volumes (e.g. more than 4 000 SPS and TBT notifications in 2017), it can be a challenge for stakeholders to track, filter and provide feedback on notifications of interest in a timely manner. Once registered on the publicly available ePing website with their filter preferences, users start receiving email alerts when notifications affecting products or markets of particular interest to them are circulated. In addition, the ePing website can serve as a communication platform to exchange comments and other documentation (such as translations) related to notifications. 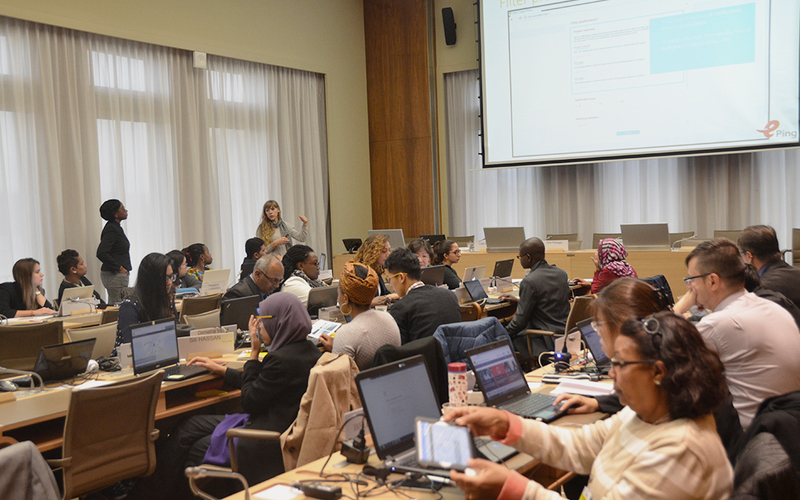 WTO members' officially designated SPS and TBT Enquiry Points can also request access to the Enquiry Point Management Tool in order to manage domestic stakeholders and connect with Enquiry Points of other countries. ePing currently has around 4 500 registered users, about half from government agencies and the other half from other entities. For example, an individual banana exporter can be alerted in time when a banana importing country is in the process of modifying its maximum residue limits for certain pesticides. At the same time, the Enquiry Point of the banana exporting country can seek comments from domestic stakeholders and share additional information regarding this new measure via ePing. Eventually, the Enquiry Point may wish to provide feedback to the notifying Member regarding this measure during the 60-day comment period and/or raise a specific trade concern in the WTO SPS Committee. From an importer's point of view, ePing can also serve to keep track of a member's own regulatory developments. Furthermore, awareness of regulatory trends in other markets can assist regulators as they in turn develop measures to address certain risks from domestic or imported products. The Enquiry Points of Australia and Uganda, which have piloted ePing at the national level, have reported significant efficiency gains in their operations. During an information session for the TBT Committee, George Opiyo, the Enquiry Point of Uganda, said, "Thanks to ePing, we have overcome the fragmentation of the notification flow to final beneficiaries and enhanced our coordination and consultation with domestic stakeholders". Over the last ten years, the share of TBT notifications covering food products has doubled from about 14 to 28 percent. In the same period, the share of SPS notifications relating to food safety has gone up from about 43 to 74 percent, with an increasing share making reference to Codex standards. Therefore, officials working on food safety and quality issues as well as businesses involved in food trade are encouraged to register on ePing and track regulatory developments in products and sectors that are of interest to them. National SPS and TBT Enquiry Points, some of which are also Codex Contact Points, are also encouraged to seek access to the Enquiry Point Management Tool so that they can reach out more effectively to domestic stakeholders. Ultimately, ePing aims to enable swift access to regulatory information and facilitate dialogue among the public and private sector in addressing potential trade problems at an early stage. A detailed user guide as well as news items and presentations can be accessed through the ePing website. Those interested in receiving further information/training or in providing feedback are invited to send an email to spstbtalerts@wto.org.